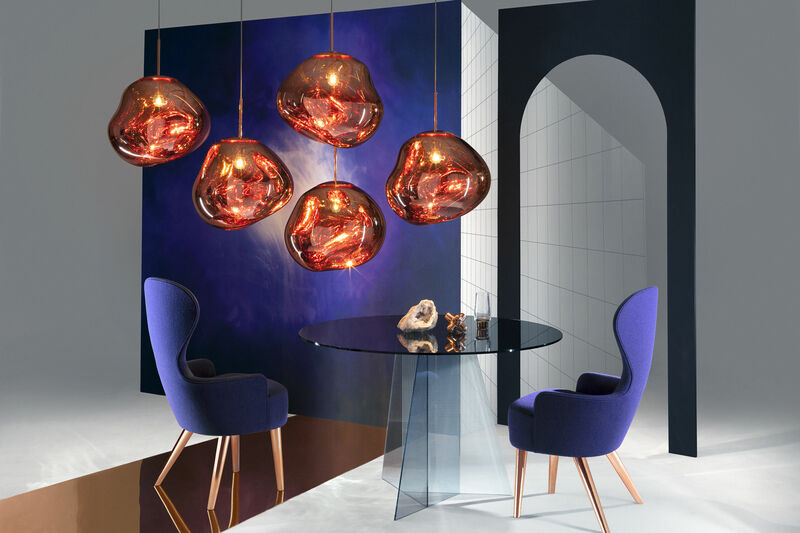 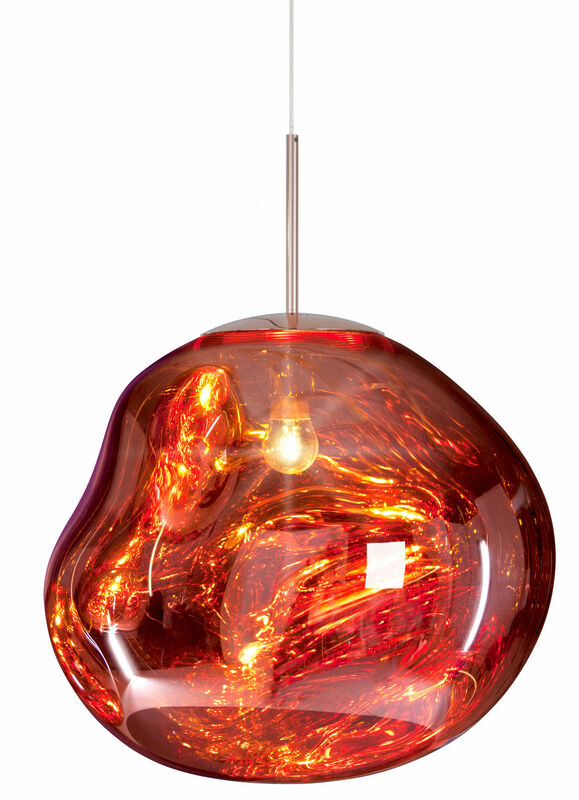 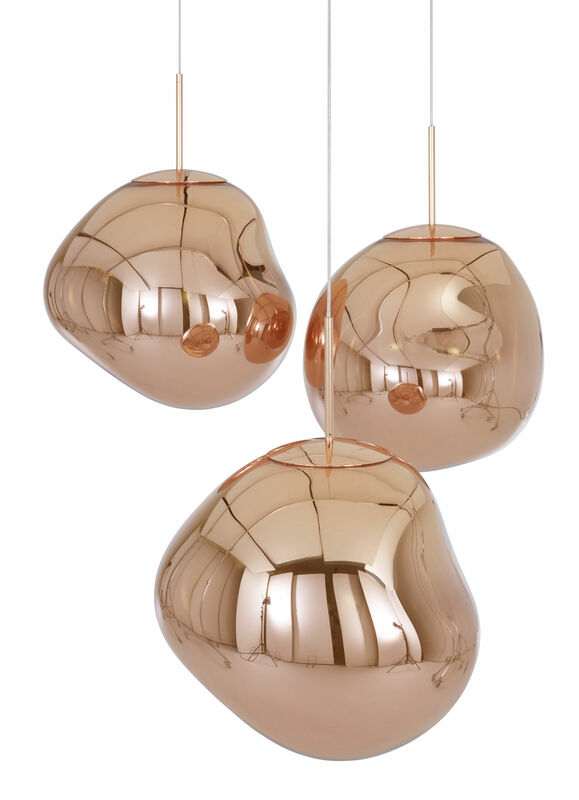 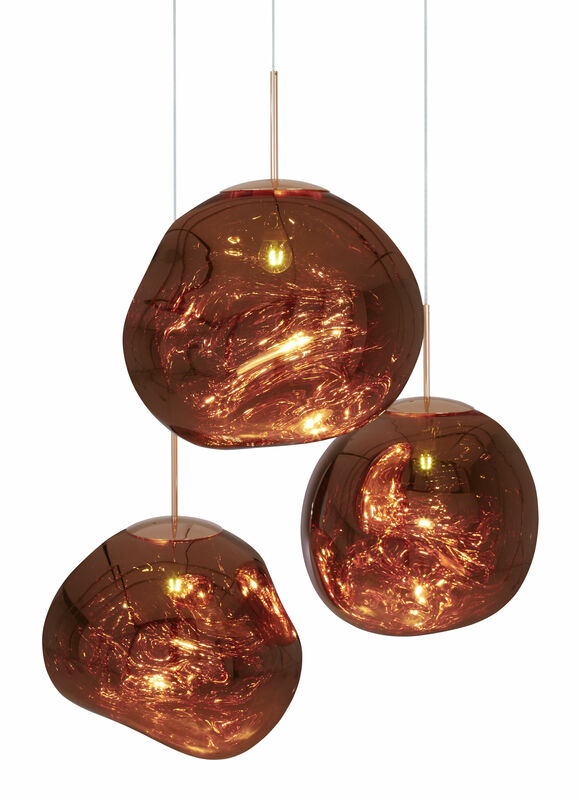 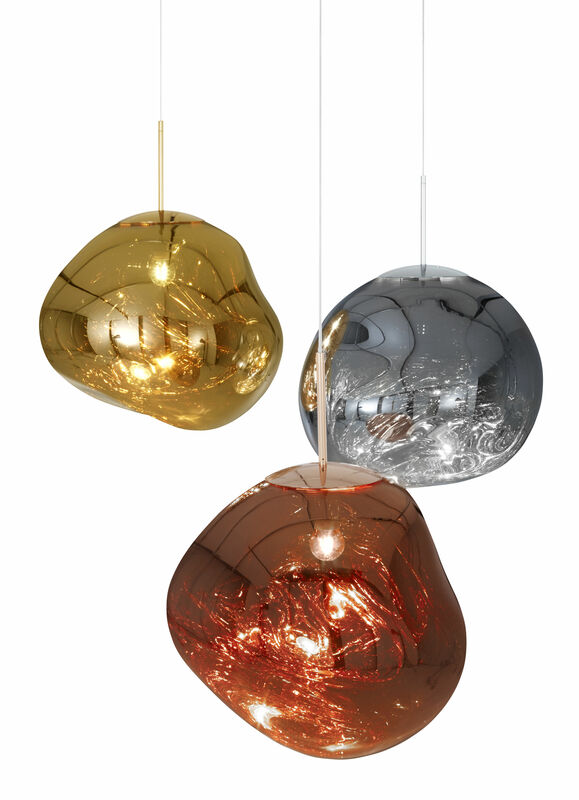 With its soft, bulging organic shape, the Melt reminds you of a drop of molten glass or metal! 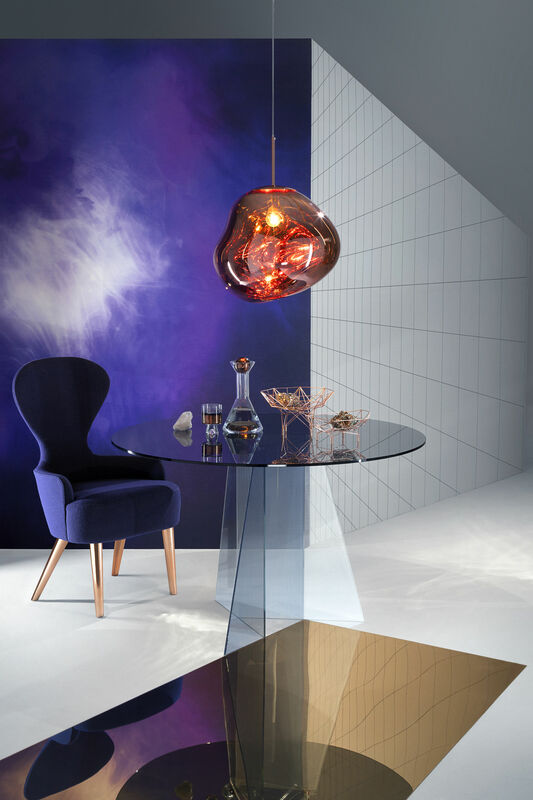 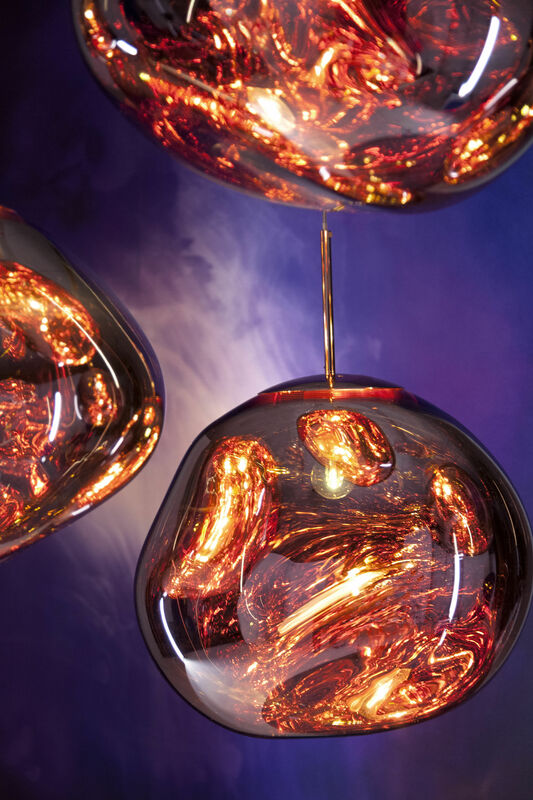 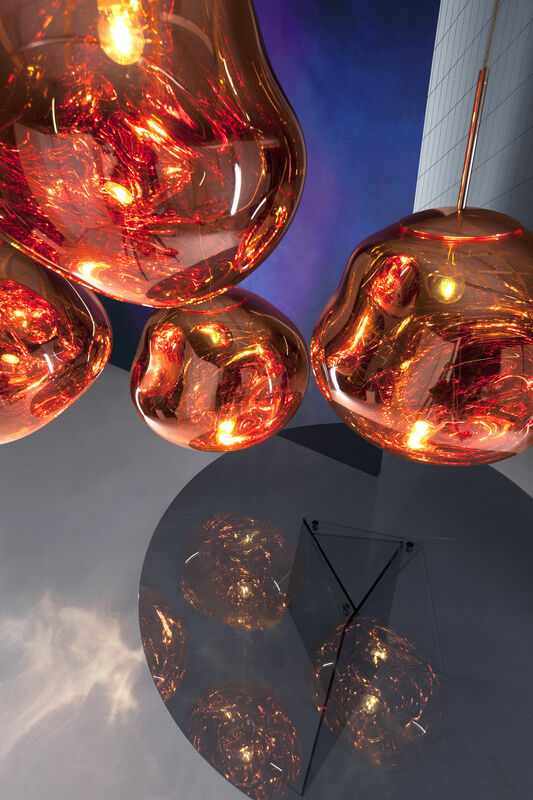 Tom Dixon has teamed up with the Swedish Front collective to create this "deformed" pendant with its fascinating optical effect; when it's on, the Melt becomes completely hypnotic! 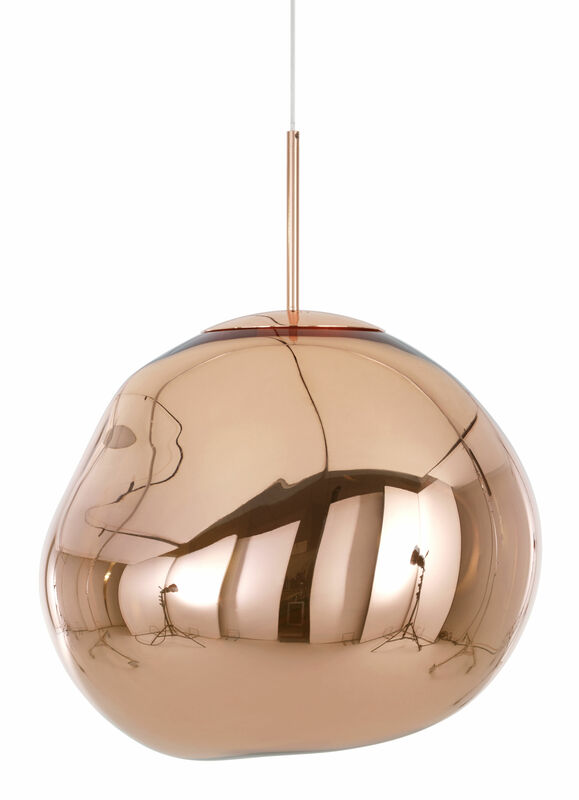 This deformed sphere is made of an innovative material: a clever mixture of polycarbonate with a few microns of copper, gold or chromium. 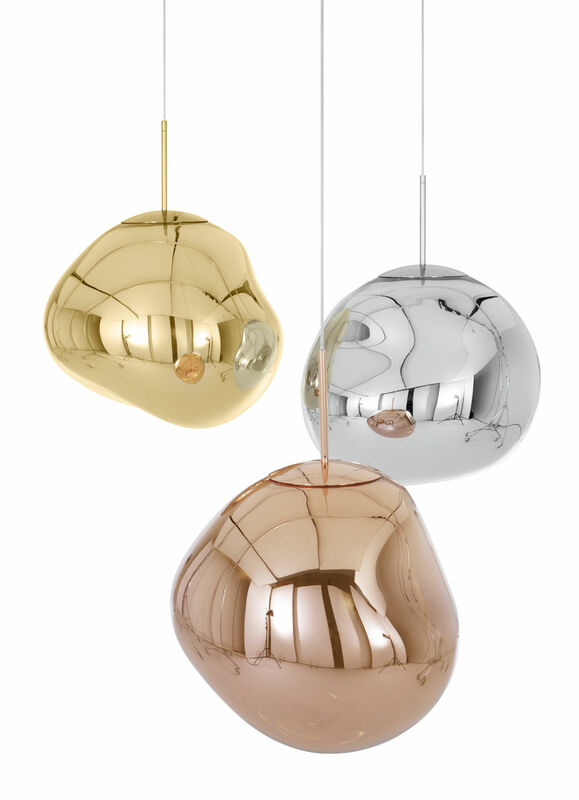 This very special metallic finish allows the Melt to transform and change its look completely! Indeed, when the light is off, the metallic lampshade is opaque and reflective. 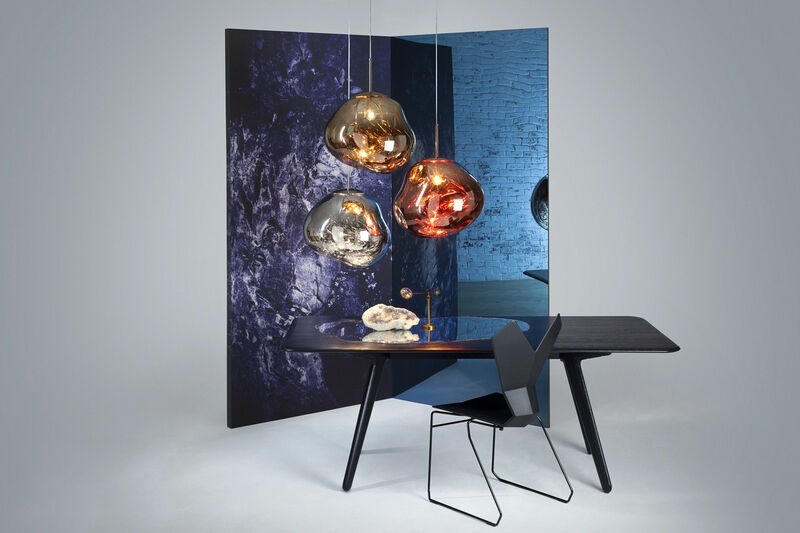 Once the light is on, the lampshade becomes translucent like glass: the material is then covered with superb deep reflections, playing with light, colour, transparency and depth.